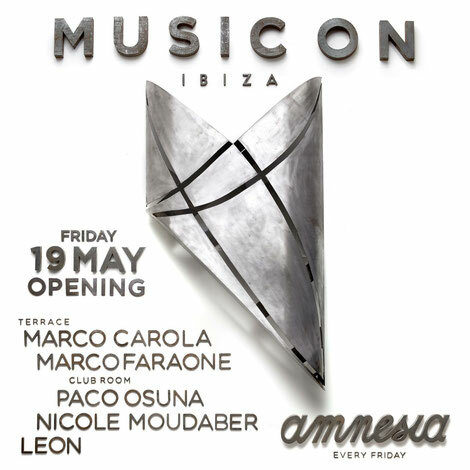 Music On starts its sixth season at Amnesia Ibiza tonight with a line-up featuring Marco Carola, Paco Osuna, Nicole Moudaber, Marco Faraone and Leon. Under the guidance of Marco Carola, Music On has possibly consolidated itself as one of the most appreciated events by fans of underground techno and house. Marco’s philosophy of offering musical experiences has been fundamental for staying at the forefront of the White Island's summer calendar. Seeking to carry on in that same vein, Music On lands again at Amnesia Ibiza tonight to perform a special 2017 opening. 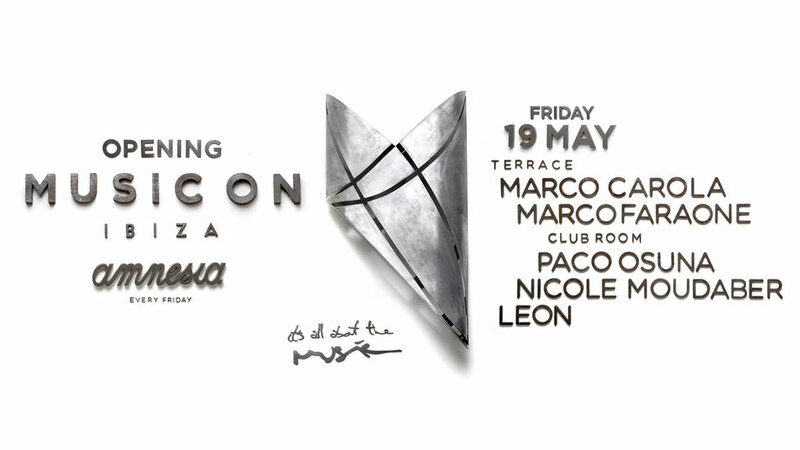 On the Terrace, the sounds of DJ and producer Marco Faraone - one of the most recent members of the Music On family - will give way to the rhythms of Marco Carola, who will be in charge of closing the night. In the Club Room, the strokes of Leon will be present and they will welcome the first incursion of DJ and producer Nicole Moudaber with Music On. Her aroma will tint the room to give way to the solid and firm structures of Paco Osuna, performing for the third consecutive year with Music On. Music On is Marco’s creative system and for five years it has drunk from musical currents and been nurtured by the interaction with its audience. This year the brand returns for another summer, because after all: it's all about the music.